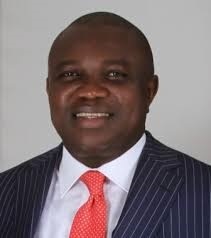 An elected Chairman of a local government has thrown out the names of the Secretary to the Local Government and Supervisory Councilors appointed by Gov Akinwunmi Ambode. Recent happenings in the Lagos State Chapter of the All Progressives Congress (APC) have further confirmed the Bounce Exclusive story that all is not well with the party in the state. Bounce News had on October 16 and November 2 reported that a crisis is brewing in the Lagos State chapter of the party over the appointment of secretaries and supervisors in the 57 Local Government (LGAs) and Local Council Development Areas (LCDAs) of the state. The report noted that names of secretaries and supervisors announced by Gov Akinwunmi Ambode on Thursday fell short of party members' expectations. It was gathered that most of the names that finally made the list were not a reflection of the wish of the people. Few hours after the names of the new appointees were made public, crisis began to loom in some local councils. Some of the local governments that have rejected the list include Kosofe local government, Agboyi-ketu lcda, Mosan-okunola, Oshodi local government, Agbado Oke-Odo LCDAs, among others. The latest council to be hit by crisis over the list is Ikosi-Isheri LCDA. The elected Chairman of the council, Oyesanya Abdulfatai who is said to have the backing of Bayo Oshinowo, a House of Assembly member, reportedly blatantly refused the suggested list of candidates presented by Governor Ambode to the local government. Abdulfatai noted that the governor was in no position to recommend anybody to them and would not regard them nor swear in the candidates into their respective offices. Instead he swore in his own candidates into office as early as 6:30am on Tuesday. The list suggested by the governor included: Kafayat Filaoye (SLG) and Olalekan Folake Azeez, Idowu Ashimi, Funke Alabi, Gbadesare Isiaka Fashola and Ajayi Olaniyi Isaac as supervisory councilors. The list was however replaced with Dolapo Bashiru as SLG and Sikiru Alabi, Fatoki Kehinde, Yemi Oshofa, Abideen, Awokoya Sukanmi , A. Adisa as supervisory councilors. They were sworn in by one Barrister Mutiu Ajisebutu and in the presence of the Clerk, Kehinde Fashola.